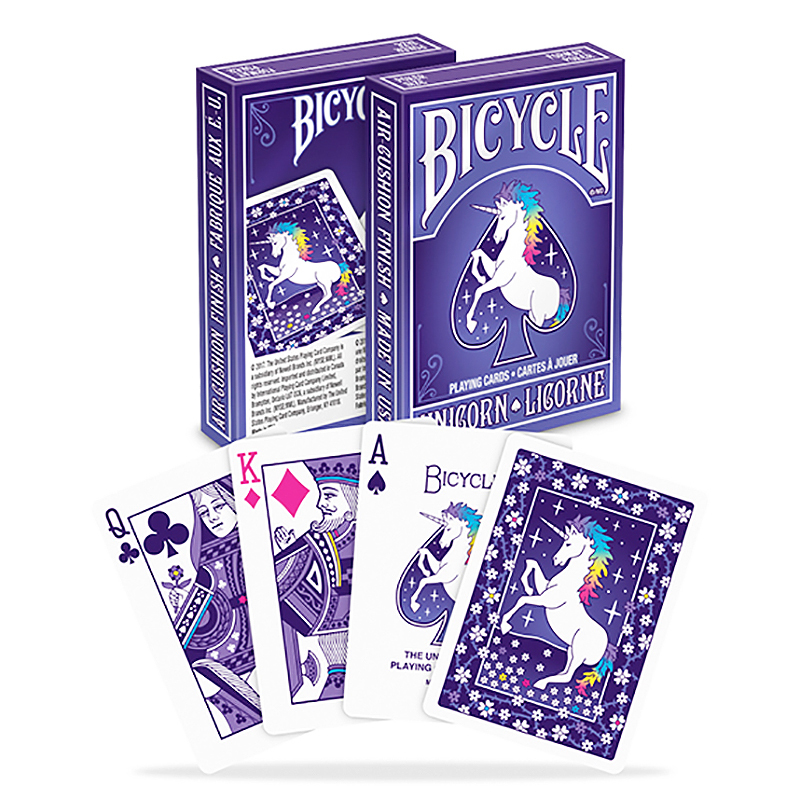 Unicorns may not be real, but this deck of Bicycle brand playing cards sure is! A 1937 vintage card back inspired the design that features this mythical creature and will evoke whimsical feelings while offering up a vibrant colored deck of playing cards. This magical deck with its bright colors will be sure to put a twist in your next card game. - Card back inspired by a vintage 1937 KEM design; deck also features a custom Ace of Spades and brightly colored faces. - Printed on premium Bicycle brand cardstock. - Classic Air-Cushion Finish for ease of shuffling and optimum performance. - Made in USA. • The cards are poker size and of the usual Bicycle quality. Αυτό το προϊόν προστέθηκε στον κατάλογό μας την Wednesday 18 April, 2018.